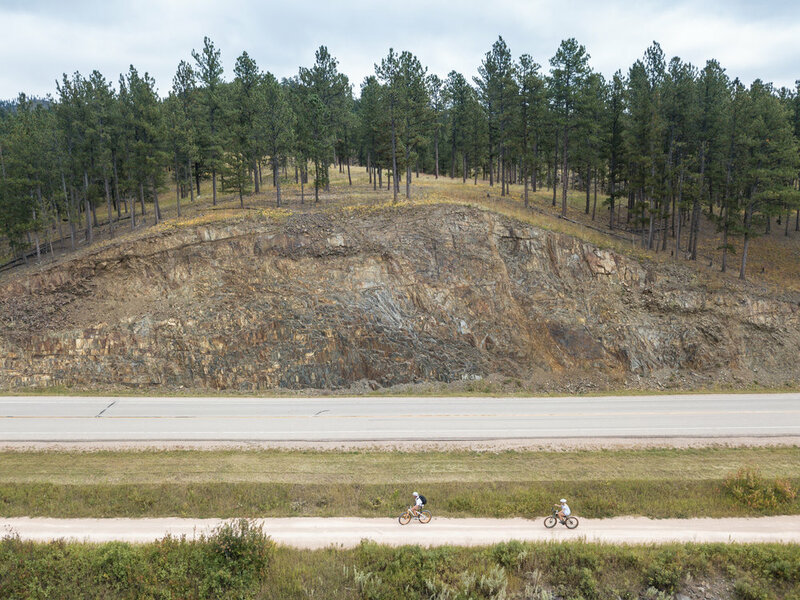 Nestled in the west of South Dakota are the Black Hills, a small mountain range rising from the Great Plains that’s quickly becoming one of our favorite places to explore. 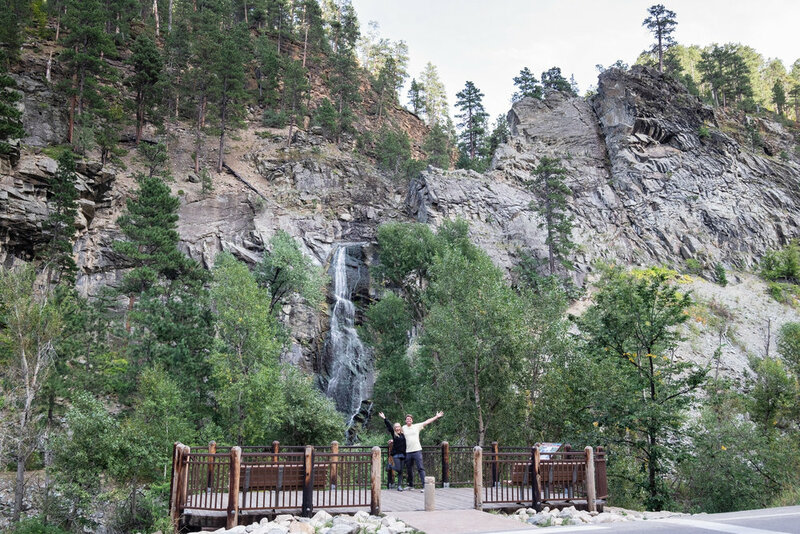 More than the stunning landscapes and friendly locals, the Black Hills boast an array of adventuring opportunities AND charming local spots to quench your thirst or satisfy your cravings. (Because let’s be real, we live for experiences, but we equally live for our next meal. 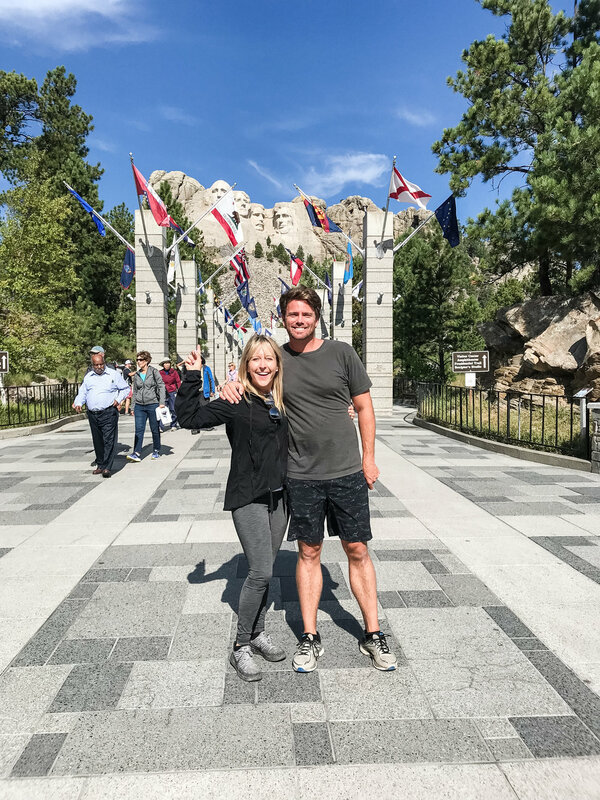 #Foodielife) Here’s a little recap from our most recent trip to the Black Hills! Some of our favorite lakes are nestled in The Black Hills. The combination of crystal clear water with sprawling green hills makes them incredibly picturesque and peaceful. We went kayaking on Pactola lake on a day that was overcast, and it was still beautiful. Whether you rent kayaks for a couple hours or for a whole day, there’s so much to see and explore along Pactola lake. Next time we’ll pack a picnic and find a spot on the shore to stop and eat! 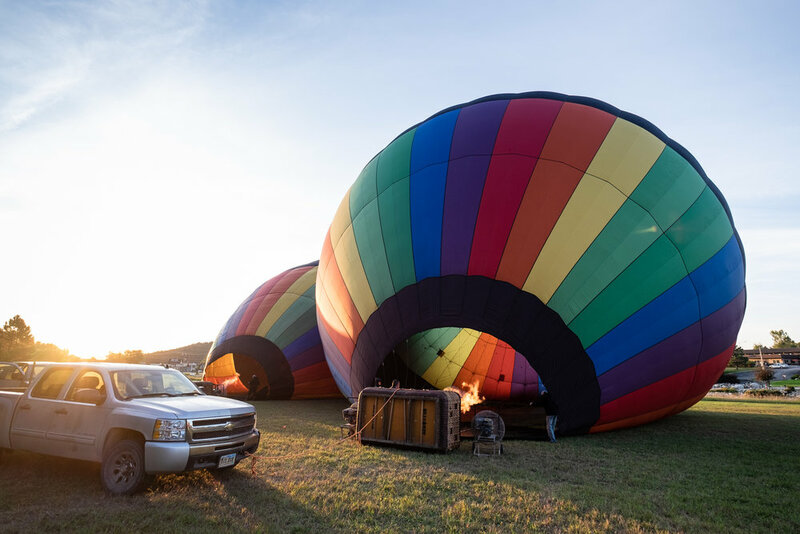 Name a better way to see a place than by hot air ballooning - we’ll wait. The team at Black Hills Balloons makes the entire trip a breeze (literally), and the view from the balloon is jaw-droopingly beautiful. Once landed, you drink mimosas and snack on cheese and crackers with your new-found friends. It was definitely the highlight of our trip! We’re self proclaimed “burger-holics”. No matter where we’re traveling, we try to find the best burger in that area. It’s just what we do. Black Hills Burger and Bun in Custer came highly recommended by several of our followers, and… wow. It may be some of the best burgers we’ve ever had. Ever. It’s something about the homemade buns, juicy burger, fresh toppings and sauce that’s honest-to-goodness perfection on a plate. It’s worth a drive to Custer just to try these mouth-watering burgers. They’re that good. Whoa Nelly, this was fun! 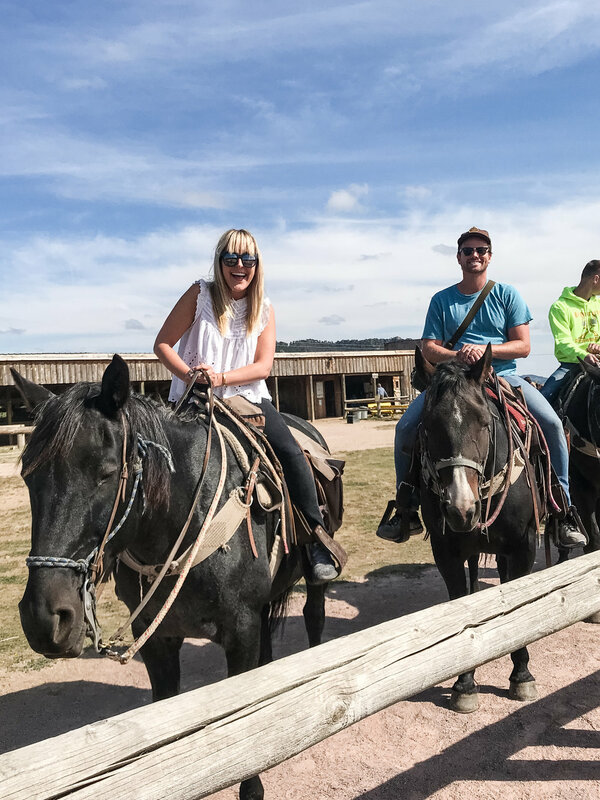 The team at Rockin’ R Trail Rides are total rockstars, making even the most city-type folk feel comfortable in a saddle. 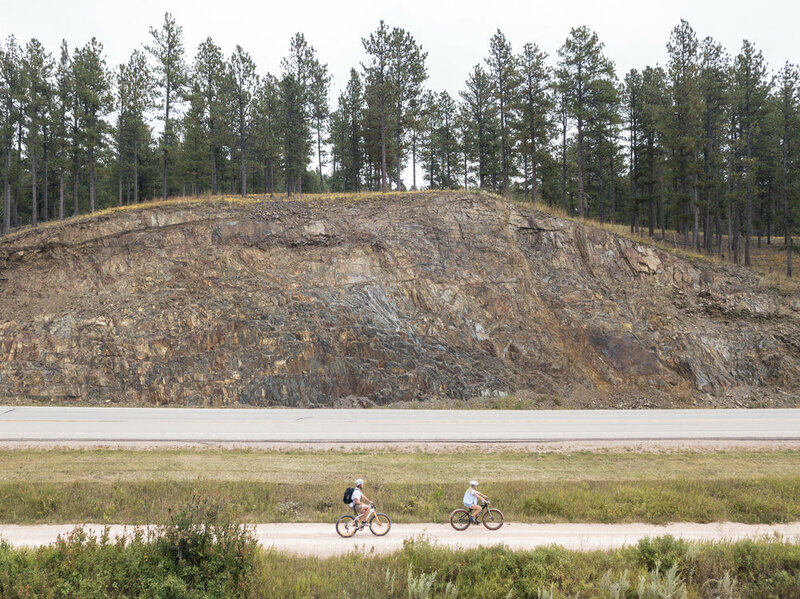 We embarked on a two-hour ride through the picturesque Black Hills National Forest. We learned about the surrounding foliage, rode past deer-filled meadows, and scaled rocky mountains with ease… it was perfect. We now want horses. Anyone have a stable we can use? Not only is this the cutest, most stylish restaurant in all of the Black Hills, it is also the best. 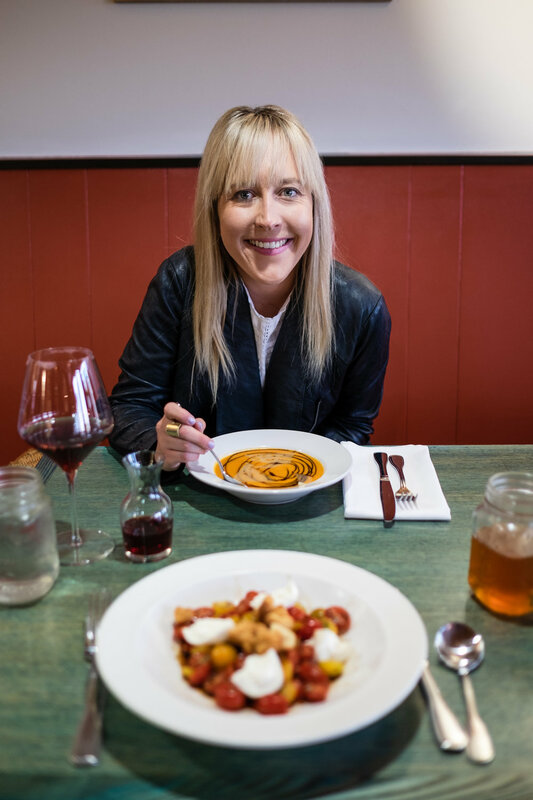 Skogen Kitchen has only been open for a little over a year, but already they’ve won recognition as the best restaurant in all of South Dakota - and it’s easy to see why. Their food is fresh, thoughtful, and flavor-filled. It’s the kind of restaurant where we consciously eat as slow as possible, to make every bite last… It’s that good. Make reservations, as it fills up quick! While we blitzed around seeing and eating as much as we could, what’s pulling us back is that there is still so much more! If you have any suggestions about spots we should explore on our next trip, leave a comment! We can’t wait to go back.